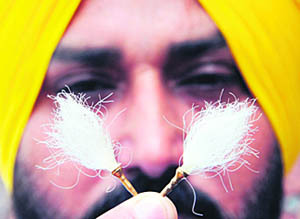 An artist displays a miniature version of 1.25 centimetre small chaur sahib on Sri Guru Granth Sahib Parkash Utsav in Amritsar. The Centre on Studies in Sri Guru Granth Sahib of Guru Nanak Dev University has organised a symposium to commemorate the Parkash Diwas of Sri Guru Granth Sahib in the conference hall of Guru Nanak Bhawan of the university. Former Jathedar of Sri Akal Takht Sahib Joginder Singh Vedanti and a renowned scholar of Gurbani was the chief guest, while Inderjit Singh, registrar, presided over. While speaking on the occasion, Jathedar Joginder Singh Vedanti spoke about the importance of Gurbani canonisation and significance of grammar for the interpretation of Gurbani. He encouraged the young scholars to take up different subjects so that the message of Gurbani could reach everywhere in the world. Inderjit Singh said the message of great gurus needed to be spread all over the world as it was still relevant in the present era. He said only the “Bani” of Shri Guru Granth Sahib Ji could bring peace in the world. Balwant Singh Dhillon delivered his lecture on the formation and message of Sri Guru Granth Sahib. He dwelt on the process of canonisation and social relevance of the message of Sri Guru Granth Sahib. 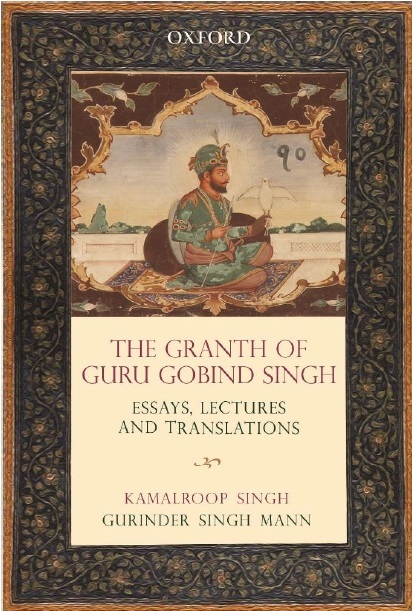 He specifically brought out the Sikh scripture's relevance to some of the modern-day problems such as interfaith relations, moral degeneration in public life, ecological imbalance, environmental pollution, etc. This centre is also collaborating with American India Foundation and University of California at Berkeley to record oral history of Sikhs. 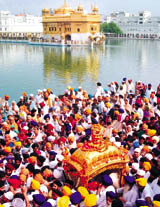 He said the centre was also working on the first issue of biannual journal and perspectives on Sri Guru Granth Sahib. “A glossary of the Persian-Arabic words in Sri Guru Granth Sahib, editing of original Gurumukhi sources, documentation of the relics of the Sikh Gurus, a catalogue of devotional literature in Gurmukhi script and Persian sources on the Sikh Gurus will be published shortly by the centre,” he said.